Spray slow cooker with nonstick cooking spray and place chicken in bottom. In a medium bowl, whisk together chicken broth, teriyaki sauce, brown sugar and garlic. 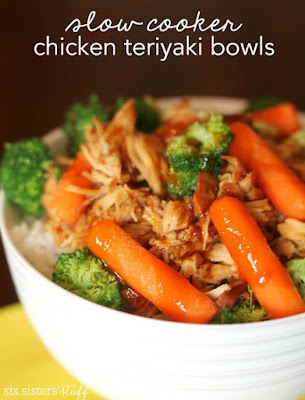 0 Response to "SLOW COOKER CHICKEN TERIYAKI BOWLS"